We have a wide range of fabrics mainly 100% crafting quality cottons from a variety of manufacturers including Moda, Fabric Freedom and RJR. 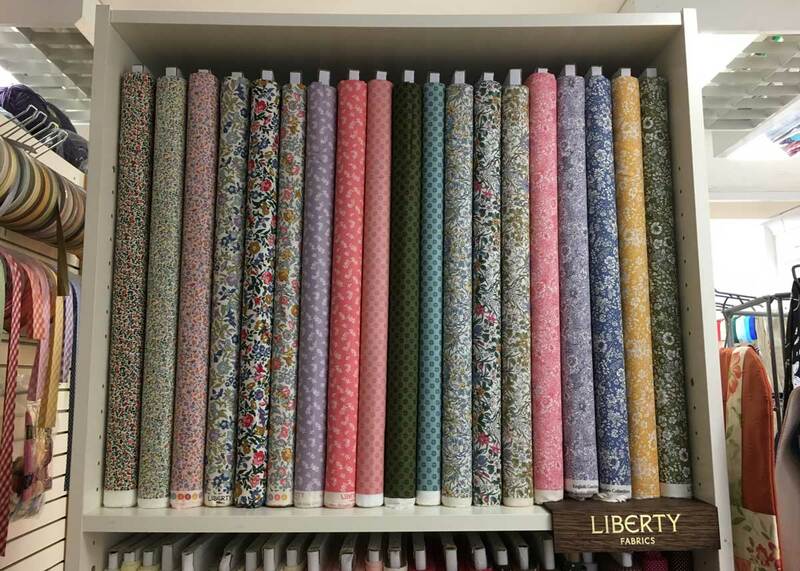 We have recently added 100% Cotton Craft Quality fabrics from Lewis and Irene and the new releases of Liberty of London’s quality cottons. Liberty’s classic floral designs have been manifested in the Cottage Garden and English Garden range. Inspiration for this collection of printed quilting fabric comes from the beautiful villages of Buckinghamshire. This area of English countryside is where Liberty founder, Arthur Liberty, escaped from his London city life. The thatched cottage gardens burst with colourful floral displays filling the winding roads with charm and delight. Flowers featured in the prints include forget-me-nots, bluebells and anemones, drawn in the London design studio and taking inspiration from our rich textile archive. The base quality Lasenby is 100% cotton specifically woven with quilters in mind. Designed for the patchwork & quilting market, these are 100% american quality cottons. These are perfect for use in any craft project including dressmaking and home decoration.